Read an article about this on metro news. Try colourising a black and white episode photo and be amazed. Could this work towards recolouring old episodes? The SDCC 13th Dr in coat Funko Pop now has a trending value of $240! Crazy! Anyone one here lucky enough to get one? no although most people never stood a chance to be honest, this should have been a std figure for all to buy. I managed to get one on eBay when it was first released for £100. I didn’t want to have to pay that but it completes the set. To buy from a US Seller the cost is about £318 at the moment: The Funko itself is about £229 plus the Postage which is between £22 to £29 plus the Import Fee which is another £86. I still feel that Funko shot themselves in the foot with this one! Just noticed that the resurrection and revelation hardbacks are the same size as the 11th, 12th and 13th doctor original novels. 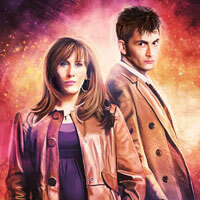 Was thinking of of selling my 10th Doctor Big Finish audios. Got the limited edition ones, and was wondering if anyone know what’s would be a good price. What is the yt or twitter acc? Could you be so kind to supply a link please? Ace creeper on YouTube posted about it. Think you can only see Youtuber posts if you’re subscribed too them. Not sure where the origional source is from but guessing Twitter u less it’s been taken down as I can’t find anything on it now. Its also probably a long way from release unless something has changed since the toy fair. Picture originates from a private (as opposed to company) twitter account. 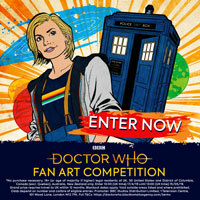 So want to ask before getting rid of the them but what’s best price for 1st dr black and white comic con and colour set ? Bought one about a month ago for around the £50 Mark after all costs. Relisting, not reporting. I’m that that serious lol! Random find today, Found a signed copy of The Keeper of Traken hidden in a New Beginnings boxset in a Cex store. Who by? And which store? Id rather see Greel in more deal and unmasked i.e. bigger. 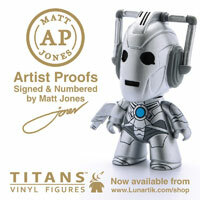 I think they should be doing a range of more detailed busts akin to the Trek and Batman ones. Busts have been tried, by cards inc who went out of business with 3 more due, then titans who cancelled many (and some of the best ones) due to lack of interest from buyers and retailers. It’s always surprising isn’t it boo boo what sells and what doesn’t. Busts really seem to struggle, script books always fail badly and yes, the consoles which I agree I’d have thought they would do well too. And yet the busts made and sold by Neil Sims and Philip Robinson are now highly sort after items with a devoted group of collectors…suppose it depends really whether youre talking quality like their items were or tat….And some fans wouldn’t know quality or a good idea if it came and slapped them in the face, while some fans will be slagging off a company ike Robert Harrops saying they’ll loose their licence etc.one minute and then praising them the next…some two faced people about in fandom though eh Booboo. If busts had been wanted by a wider purchasing audience they would still be being produced. They just don’t sell. No official info from BBC about BBC DVD sales figures. Sorry that’s not very clear… the BBC don’t issue DVD sales info so any info to be found will be third party info. Does anyone know if Issue 180 of Figurine Collection is the last? As far as we know it’s the last but that could change. 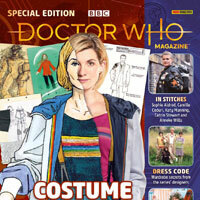 I think they’ll want to release it when Series 12 airs, next year. They’ll probably give us photos towards the end of the year, or early next year. Fair enough, supposed to be 19th April. Anyone ordered from Aztechero.com before? Why do you say “thank goodness” what was wrong with them?? well they clearly haven’t paid their website host, or they have been shut down. you must have asked the question for a reason? I did. Never received the item, and have started a PayPal claim against them. Avoid like the plague! Booboo emailed you last week and was just wondering if I had used the correct email? That’s great!! Thank you so much! Very much appreciate it! If it drops to £60 I’ll probably buy it to go with the Record Store Day Exclusives this year – the style of art is exquisite. Booboo have you managed to get any of the first 3 Eaglemoss Companion Sets? I’d have thought so. If they’re only really doing repaints, Daleks are ideal. There are still variants we haven’t seen before, as well as old designs we haven’t seen in ages, such as ‘Death’ and ‘Destiny’. They could probably even make a Stengos Dalek if they had the materials, as it wouldn’t need any new sculpting or moulds. And then they could still do what they did with the 3.75″ Daleks, and have ‘NSD in classic colours’ forever if they wanted. Plus the Movie Daleks, though they probably wouldn’t be able to get the rights. It would require fitting two figures together, so some new tooling would be required, but Time War Special Weapons variants wouldn’t be too hard – all the parts are available. So yeah, I’m sure they will eventually. 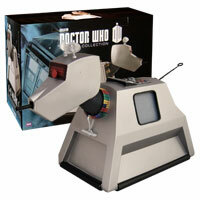 It’d be mad not to, and they’d sell well, given how collectible and popular the Daleks are. I listed 6 designs that haven’t been done before at all, plus 6 designs that have been done in some way, but could be updated, plus NSDs in classic colours, and Movie Daleks if they got the rights (but they probably wouldn’t be able to). There are plenty of Daleks they haven’t made, but wouldn’t require new tooling, so I think there’d be a way, and I think they’d sell well. Besides, casual non-collector buyers might just want one Doctor and one TARDIS, but Daleks are much more massable. 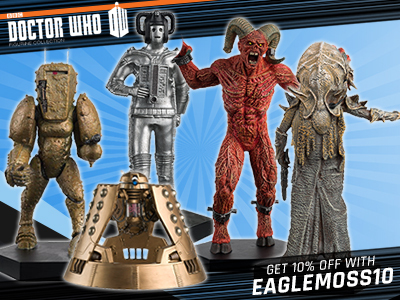 Obviously, they wouldn’t release all the Dalek designs I listed, and certainly not at once, but I think they should try 2- or 3-packs of Daleks, or maybe 1 or 2 Daleks with a Doctor or another figure? Maybe something like an updated 12th Doctor from TMA/TWF with blue-neck black-top Guard Dalek, or 7th Doctor from Remembrance rerelease, with mid-transmat Dalek, or 6th Doctor rerelease from Revelation, with Stengos Dalek(and Davros?). I think they’d sell well – everyone wants more Daleks. I mean, they’ve given the Daleks a long break, seeing as the last time we actually got a 5″ scale Dalek was in 2014 with the Asylum 3-pack. Also, not all of us have some of the Dalek variants. There’s a ton of variants I want, the Planet Supreme, the standard Invasion Drone, the Death Submachine gun Dalek, the Renegade Supreme, the Emperor Guard Dalek from Parting of the Ways and an Imperial Dalek. 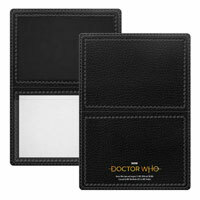 Not to mention Davros variants, like the Genesis Davros and the Emperor version. Hell, I’d take a Genesis or Dead Planet Dalek, as I don’t even have one of the latter. I still think there are tons of Daleks you could do with repaints, like the Magician’s Apprentice drone, which would be nice to have as it’d give another villain to put with 12 on his pretty bare area of the collection. And there are many you could do from the EU, such as the Red 60s Dalek from the cover of the Mutation of Time, a Renegade Special Weapons Dalek from various comics, the Red Planet Supreme from the Weetabix adverts. Hell, I know he’s not a Dalek, but you could do a (somewhat inaccurate) Juggernauts Davros by repainting the Resurrection/Revelation version’s skirt section white and gold. 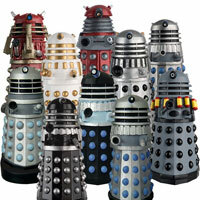 I honestly think it’s about time we get more Daleks, they are what I most want in the next B&M wave. Be careful when shopping on Amazon. They have changed the format and several authors I buy now only show the more expensive American editions rather than the cheaper and published sooner English ones. Really had to hunt for the English ones. This is yet another reason why I barely use them now. Not sure if it’s affecting the who stuff just be careful before ordering! 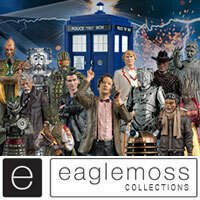 Neil Cory has announced the Orange Scientist Paradgigm Dalek is #152 in the Eaglemoss collection on Twitter! Oh good, just the Eternal left then. I’m pleasantly surprised the Scientist was chosen first though, the Scientist one is the one I was worried they wouldn’t do. I suppose with this collection they’ll try and go the unexpected and lesser known choices you’d think of. I’m quite happy they decided to do the Scientist as it’s the lesser one produced in term of products. Although, I wonder if we’ll get another red drone because 112 was the metallic Dalek parliament version? Same with the Strategist, not only was that the Asylum variant but a subscriber exclusive as well. Maybe there could be a set of all 5 Paradigm Daleks when the Eternal is released, with exclusive Victory variants of the blue and red-I wouldn’t want them to fill up either standard issue or subscriber numbers so a box set release would be the best way to go. I have only just started buying blu-Ray discs – with the collection box sets, however wondering whether getting the blu-Ray (or steelbook) of series 11 is worth it considering the rest of my modern series collection are DVDs? Would appreciate opinions! Steelbooks rise in value for the most part so it’s worth it as you have a future investment as well as a better picture quality for the episodes themselves. 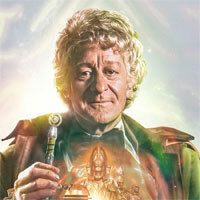 Does anyone think that we’re eventually gonna get a war doctor B&M Tardis set? Don’t know if you have already spotted this.